Betty is from Tjurma Homelands and paints with Tjurma Arts and Crafts centre as well as the women at Tjala Arts (formerly Minymaku Arts). 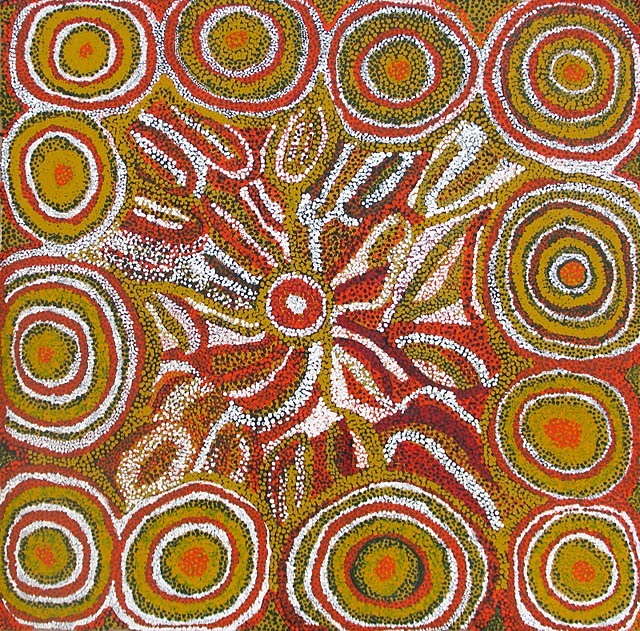 She has been a practicing artist for many years and is always experimenting with ideas and traditional stories from her dreamtime. Not only is Betty a skilled painter, but also adept in Batik fabric production which she first practiced at Ernabella Arts at Pukatja (Ernabella) Community.